light pleasant colours and scents? 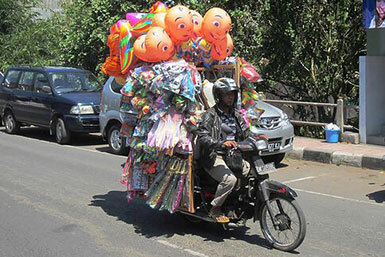 What if I tell you that I use my driving in the Bali traffic as a major “meditation” space now? 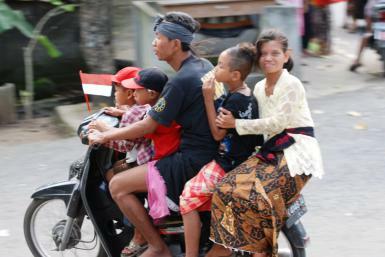 Mostly people experience the Bali traffic as crazy…and yes it can be. We all move like bees in a major bee swarm, where the flow can be hard to see if you are in the middle of it. In the same way as it can be hard to see what is going on in a bigger perspective, when you are in one of life’s turmoil’s of emotional releases. to a certain extent to go out on the motorbike . But I knew that to be the best driver I could be I needed to feel flow, feel calm and feel in one with the given circumstances. All these unlimited ways of using scooters puts so many smiles on my face. So I focused on raising my energy, my frequency, and bit-by-bit I came into this tremendously great feeling of looking forward to riding the bike. I experience that the traffic it is quite friendly… soft somehow. Sometimes I use my trips to connect to my visions, I see amazingly crafted objects along the roadsides, and I place them into my Bali dream house, where my art-studio is evolving alongside. I encourage you to find a situation, or a circumstance where you feel that you get stressed, or out of your centre, and see if you can change it around.